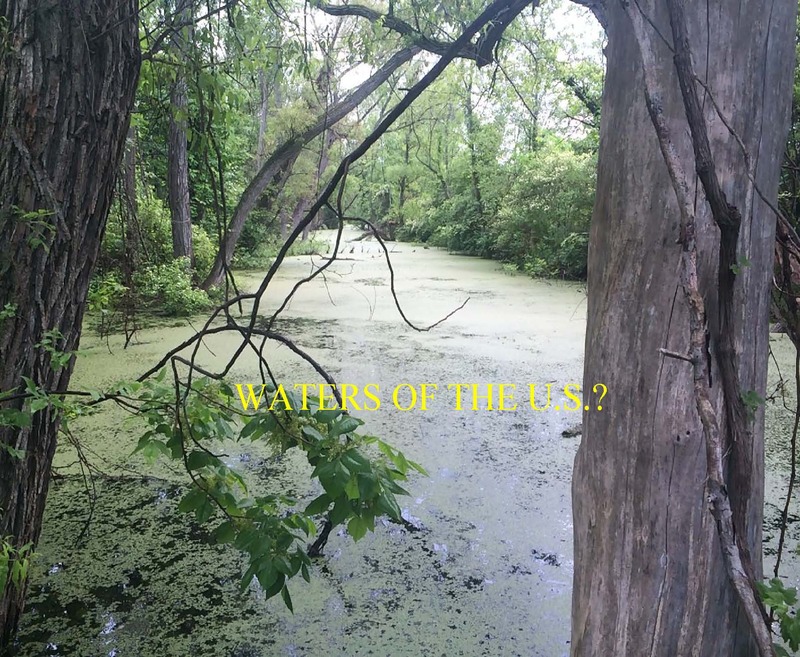 The 2015 Clean Water Rule, which greatly increases wetland regulations, was instated in August 2018 (known as the Kennedy Rule after Supreme Court Justice Kennedy’s majority opinion) after being in court for the past few years. Meanwhile, a revision to the rule, reducing regulations was proposed on December 11, 2018. The currently instated 2015 Clean Water Rule significantly increases the number of regulated wetlands. The Clean Water Rule is a component of the Clean Water Act proposed by the EPA and Corps of Engineers that specifies which streams, ditches, wetlands, ponds, lakes, etc., are regulated and therein called “Waters of the U.S.”. The new 2015 rule differs from the previous rule by eliminating the concept of “isolated” wetlands, where a wetland could be considered geographically isolated and non-regulated. Approximately 20% of wetlands were previously considered isolated and could be filled and developed without a permit. A great majority of these wetlands are now becoming regulated. Isolated wetlands are still not regulated if a Jurisdictional Determination was issued prior to the new rule taking effect in August 2018. Furthermore, the rule establishes substantial distances (4,000 FT from an existing stream or drainageway) as a reason for wetlands to be jurisdictional, even though they might be geographically isolated. This results in the regulation of many more wetlands. The truth is that nearly every wetland in the northeast region of the U.S. will be regulated under the 2015 rule, which makes defining and reducing the wetland boundaries by private consultants all that more important. Wetland permitting for wetland fill will now become even more common as more wetlands are deemed regulated. Wetland determinations are valid for 5 years meaning that if a determination was issued prior to the new rule (August 2018) and included isolated wetlands, there is a 5-year window during which those wetlands will not be regulated. The good news is that EPA and Corps of Engineers under the direction of the current administration have proposed a revised rule on December 11, 2018, again, modifying exactly which water features will be regulated. Under this revised rule, tributaries, wetlands, and ponds with only an ephemeral flow (flowing only during and shortly after rain events) would no longer be regulated. Such features would require perennial or intermittent flow (more permanent water) to qualify as jurisdictional Waters of the U.S. The newest proposed rule would largely reduce regulations, but it needs to make its way through the judicial process. The document is available on the Federal Register and a 60-day public comment period began on December 28, 2018. We will keep you informed of any future progress.